Catalytic Governance is based on the insight that effective leadership and governance in the information age depend less on traditional top-down approaches and more on creating shared meanings and frameworks. 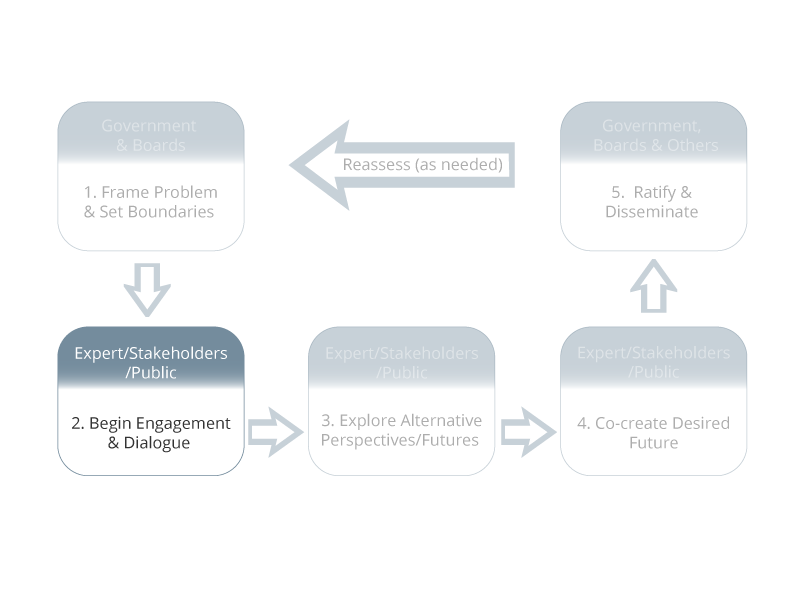 A distinctive feature of issues in the information age is the number and diversity of stakeholders who need (and demand) to be engaged, so that a key governance challenge in all sectors is how to steer effectively when so many hands (with so many different agendas) are on the wheel. 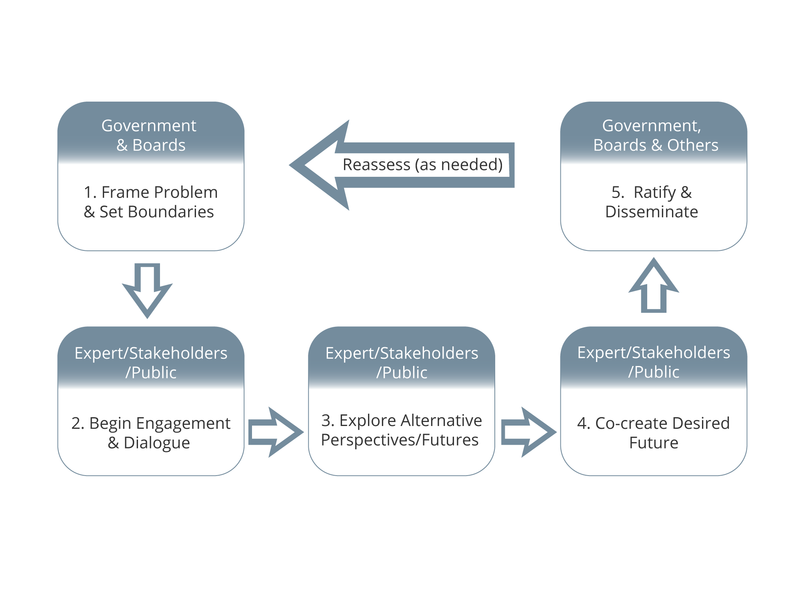 Catalytic Governance provides a tested response to that challenge. 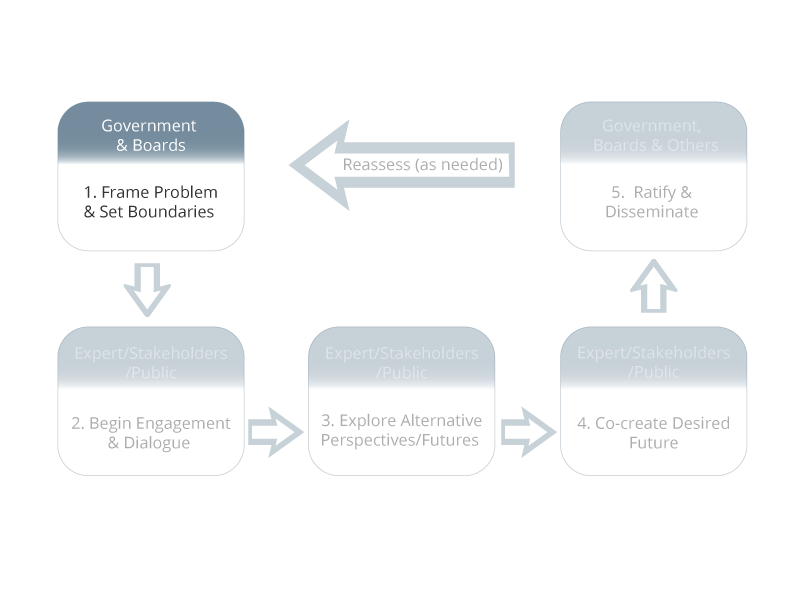 Governments, Boards or other governing bodies (as stewards) take the initial step of framing the problem and agenda, defining the process to be followed and the range of stakeholders to be included, and setting the boundaries for acceptable solutions. 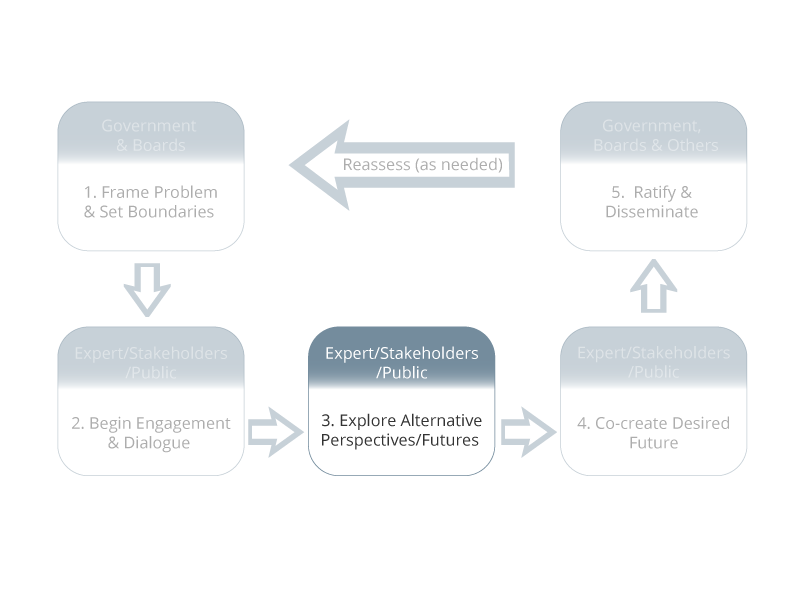 Engage a wide range of stakeholders around the issue, embedding the ground-rules of dialogue and engagement in all conversations from the outset. Governing bodies need to ensure that all the key stakeholders and viewpoints are engaged in the process, including those normally underrepresented. The stakeholders should be selected to be a microcosm of the system at issue, not just representatives of particular interests. In a true dialogue participants need to be free to speak for themselves, not as representatives. A continuing and expanding process of dialogue and engagement is fundamental to Catalytic Governance. The third step in the process is to explore in detail a variety of perspectives on the issue and alternative possibilities for how it may unfold in the future. This provides a way for participants to understand and learn from others’ points of view, and to start to see the limitations of their own. Ensuring that multiple viewpoints are taken into account creates a richer view of the issue and its possibilities. 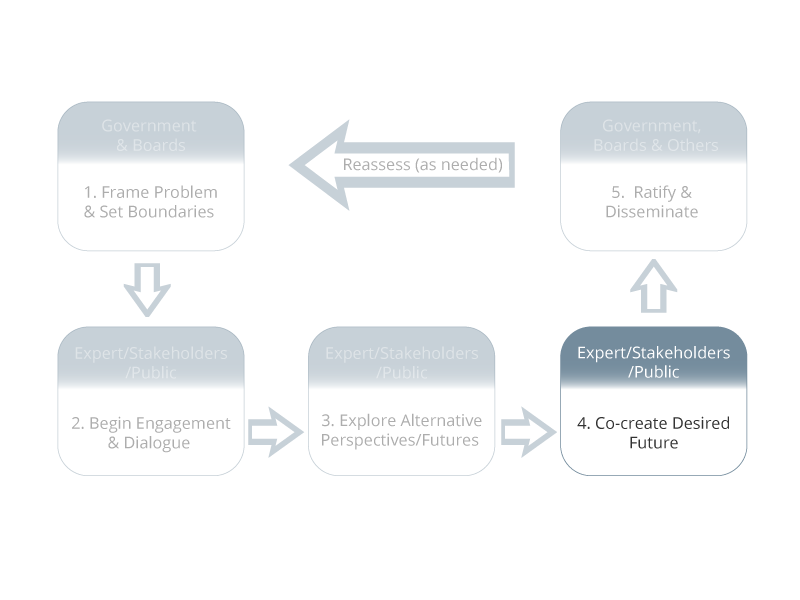 The fourth step is for those stakeholders who are willing to define their more desired future and to develop practical action steps to realize that future. Often this will require a process of action learning – taking experimental actions and learning from the result. To be effective, the stakeholder group must include key individuals in a position to bring about change and willing to take action. 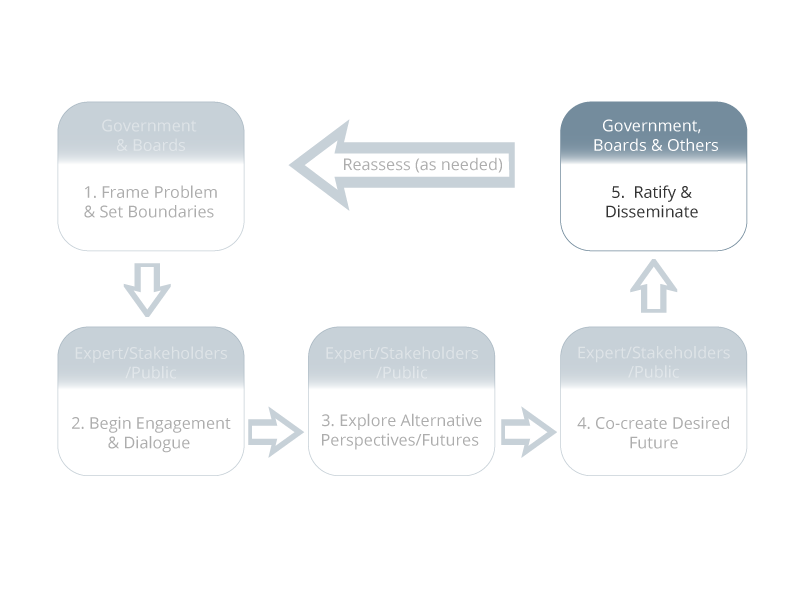 In the final step, Governments, Boards and other governing bodies play a leading role, first by ratifying and disseminating the result of the Catalytic Governance process, and then by acting and encouraging action on the emerging strategy (including legislating if necessary), and monitoring the results. This stem is not a simple, once-and-for-all end point; it is itself a process of action learning.